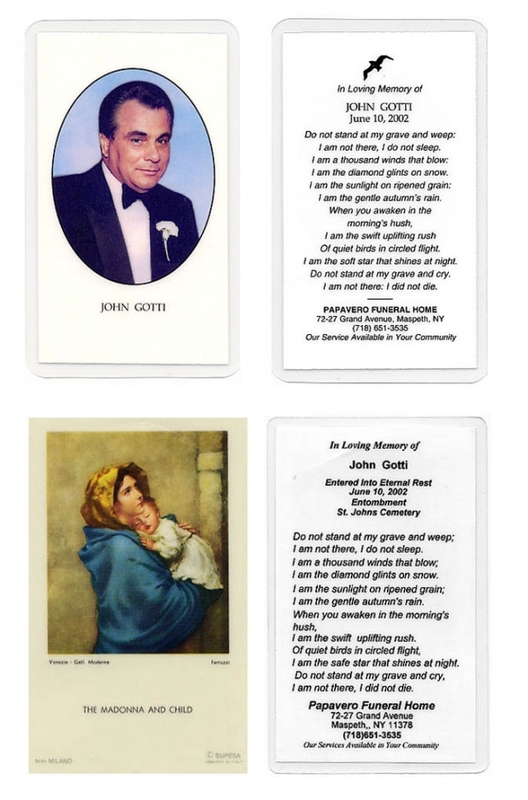 We're amazed that, as of press time, no eBay entrepreneur (or destitute Gambino associate) has offered a keepsake from the recent garish John Gotti sendoff. 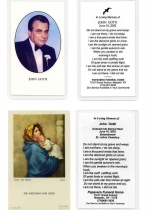 So TSG felt it was our duty to share these funeral cards, which were given to attendees at the gangster's wake at Queens's Papavero Funeral Home. Click here for more Gotti memorabilia.